California isn’t called the Golden State for nothing – to underline this fact, last week one lucky Californian hit gold big time! Just by buying a ticket for the US Powerball lottery, this lucky player became $228.4 million richer! Imagine the feeling of checking your numbers, double-checking and triple-checking them, finally realizing you have a perfect match and won a jackpot of literally hundreds of millions! One lucky player got to experience that incredible feeling last week, after the September 24th US Powerball draw results were revealed! How the US Powerball winner turned $30 into $228.4 million! Vinh Nguyen works at Nail Resort in San Manteo as a nail salon technician. He’s been playing the Powerball lotto for the last five years, using the tips he receives to buy his tickets. For the latest draw, he scraped his tips together and bought fifteen Powerball tickets at Dehoff’s Key Market, a family run store chain in the same mall as the nail salon he works for. This $30 purchase changed his life forever and simultaneously created the latest lotto multi-millionaire. Random numbers can be winning numbers! 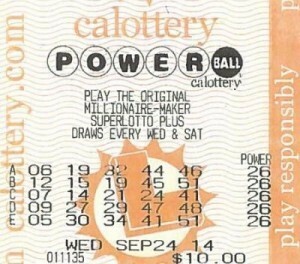 One of his tickets, with numbers 7, 14, 21, 24, 41 and Powerball 26, turned out to be the golden ticket. He sure hit the proverbial ‘nail on the head’ with these numbers! Nguyen didn’t even use the Quick Pick or played his lucky numbers. He claims that he just went with any random numbers that popped into his head. 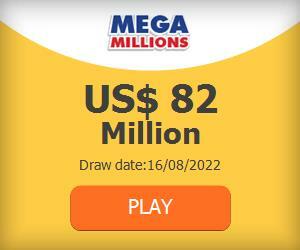 The best thing of all: since there was only one winning ticket, he doesn’t even have to share the gigantic $228.4 million prize! Nguyen came forward as the jackpot winner on Thursday afternoon, but wants to stay out of the media spotlight. Other than the fact that he ‘just wants to be an ordinary guy’, not much more than what we already told you is known about Vinh Nguyen. He opted for the annuity payment, so he’ll receive the full, taxable amount of $228.4 million over a thirty year span. Key Market owners, Jack and Nancy Dehoff, earned $1 million for selling the winning Powerball ticket. Winners everywhere! US Powerball is for UK players, too! UK players, instant riches could be yours as well! It doesn’t matter where you are – you can buy your US Powerball tickets online and stand a chance of winning one of the most exciting lotteries in the world! This latest huge Powerball jackpot was the fifth $100 million plus jackpot of 2014 – and we guarantee you it will not be the last! Do yourself a favor and start playing to become the first British Powerball lottery winner!